The 2010 Kinetica Art Fair opened last week at P3, the cavernous underground art space at the University of Westminster. The fair combines new developments in the arts, science and technology, with over 25 galleries and organisations specialising in kinetic, electronic and new media art taking part with over 150 artists exhibiting. Musion’s Eyeliner, a high definition holographic video system, caught a lot of attention at the show. ONSIGHT staff got to see their logo in a holographic form for the first time with other attendees at the fair including McLaren’s Ron Dennis and mentalist Derren Brown. HD & 3D experts ONSIGHT have just had work on their new 3D Mistika suite completed. 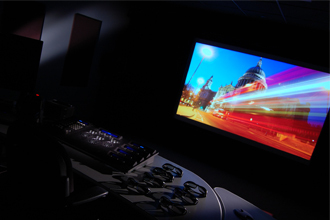 The purpose built room at their Berners Street location offers 3D viewing through a pair of DCI compliant projectiondesign projectors. 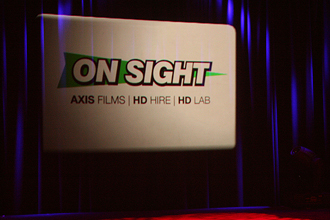 ONSIGHT's SGO Mistika is used for stereoscopic productions and handles files up to 4K in size with real time 3D colour grading. Audio is taken care of by a 5.1 surround sound system. The debut video to be taken from the album 'AC/DC: Iron Man 2' is 'Shoot To Thrill' with Marvel making the video available to view online this week. Iron Man 2 follows on the success of the 2008 film and features stars including Robert Downey Jr, Mickey Rourke, Samuel L. Jackson, Gwyneth Paltrow and Scarlet Johansson. Through a unique collaboration between Marvel Studios and Columbia Records, AC/DC's music will feature in the film. "Jon Favreau's vision and passion for AC/DC's music blend seamlessly into this incredible film" said Steve Barnett, co-chairman of Columbia Records. "The music really underscores the high energy and excitement of the film." 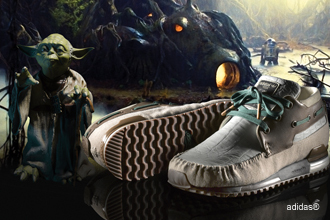 Adidas Originals have just sneaked a teaser of their latest promo, featuring a collaboration with Star Wars, onto YouTube. Nima Nourizadeh of Partizan (named by Campaign as the top production company of 2009) shot the piece on film and HD. His first commercial, fittingly, was for the hugely exciting House Party for adidas Originals, which celebrated 60 years of the sports brand. The film, which Nima shot in Los Angeles, featured Missy Elliott, Russell Simmons, David Beckham, Method Man, Redman, DMC, Kevin Garnet, Estelle, Katy Perry, the Ting Tings and many others. One of the most eagerly awaited films is now out in screens across the globe. 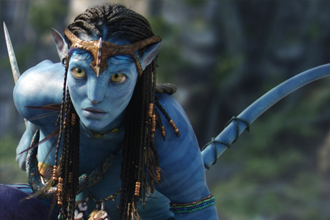 Avatar, the monumental sci-fi epic by James Cameron, is a film destined to be even bigger than his previous effort, Titanic. The 3D world of Avatar was conceived by Cameron 15 years ago and has been in production for more than four-and-a-half years, with its ground-breaking technology making it the most expensive film ever made.